UV50+ capped sleeve swimsuit means no more burnt shoulders! 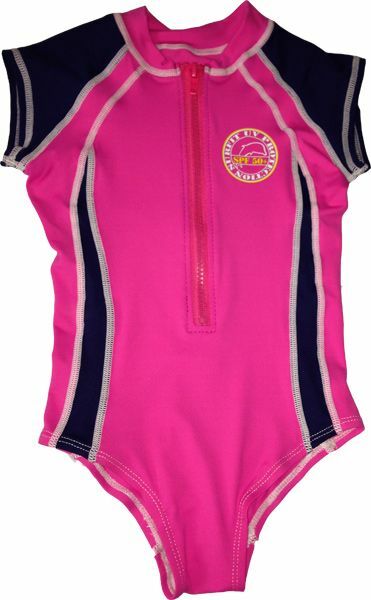 The lycra/nylon material keeps your child safe both in and out of the water. A beautifully designed swimming costume with a front facing zip also makes it easier to put on and take off.